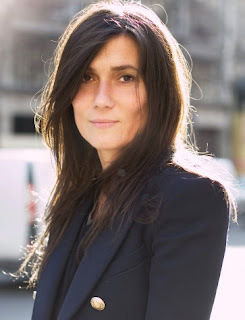 If you haven’t noticed, I’m slightly elated at Emmanuelle Alt becoming Editor-in-Chief of Vogue Paris. We all love Carine, but Alt’s personal style, a refined rock & roll girl she is, and her very distinct stylistic tastes, places Alt on the top of my list of fashion women. With Carine Roitfeld stepping down, many of us are eager to see and hear about Alt’s direction for the magazine. Her first issue will be in April, but from a recent interview with Mark Holgate, it sounds like any changes will be slight and slow. I recommend reading the full article. You are really beautiful on that photo. Although Carine was great I feel Emmanuelle Alt will bring a new zest to the magazine.